You're special so your birthday is a very special day. May God grant the desires of your heart. for you to face the future with encouragement. and give Him first place always. you will remember it for a long time. Have fun and Blessings too. Christian Card Blessings to You, Happy Birthday. 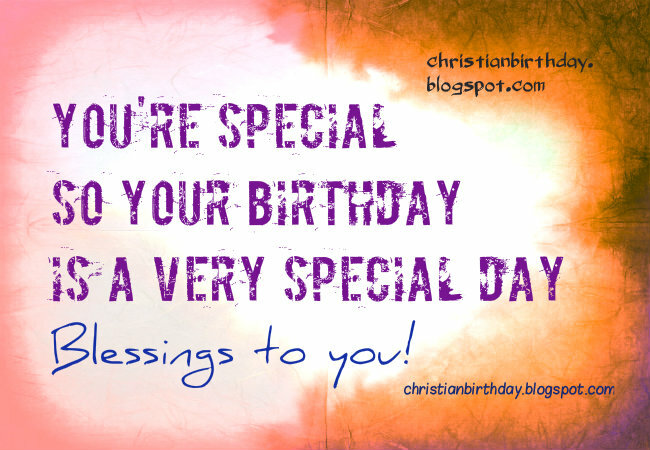 free images, nice free christian quotes for man, woman on birthday. Congratulate Special person with christian phrases. Free bday card bless.